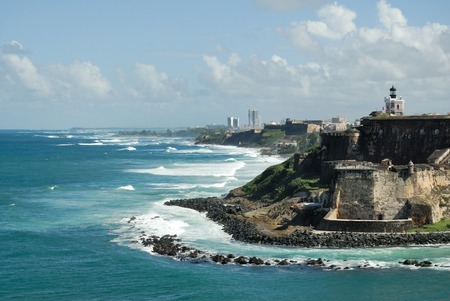 Have you suffered losses investing in Puerto Rico Closed-end bond funds? If so, The White Law Group may be able to help you by filing a FINRA Arbitration Claim against the brokerage firm that sold you the investment. UBS and its affiliated firm, UBS Financial Services Inc. of Puerto Rico, have already paid millions of dollars due to client losses in Puerto Rico proprietary closed-end bond funds filled with Puerto Rico municipal securities issued by various authorities and agencies. Last year, they lost the largest claim to date for $18.6 million. The market for Puerto Rico’s $70 billion in municipal debt hit the bottom over the summer of 2013 after Detroit filed for bankruptcy that July. Unfortunately, Puerto Rico cannot file for bankruptcy and restructure debt under the U.S. Bankruptcy Code. Now UBS Financial Services Inc. has lost yet another multi-million dollar FINRA arbitration award stemming from the sale of Puerto Rico closed-end bond funds and Puerto Rico bonds. According to the arbitration award, which was decided on Wednesday by a three-member FINRA dispute resolution panel, the claimant, Dr. Luis E. Cummings, was awarded $4.4 million in damages and various costs. Mr. Cummings’ complaint, which was filed in March 2015, was related to his investments in Puerto Rico closed-end bond funds and Puerto Rico bonds, as well as loans obtained against those closed-end funds and bonds, according to the award. The complaint also stemmed from the use of lines of credit to purchase additional bonds and funds. The claimant alleged fault, fraud, deceit, recklessness and negligence, according to the award. This is the third multi-million-dollar loss involving Puerto Rico closed-end bond funds or bond funds UBS has seen since December. In February, UBS lost a $9 million award to another investor making similar claims. The FINRA panel awarded Mr. Cummings $3.9 million in compensatory damages, $442,000 in attorneys’ fees and $61,500 in undisclosed costs. Unfortunately it appears that many more investors suffered devastating losses as a result of UBS Puerto Rico closed-end bond funds. Brokers that sold UBS closed-end funds had a responsibility to make sure the investment recommendation was suitable for their client. The White Law Group continues to investigate claims against the brokerage firms that pushed Puerto Rican municipal bonds and bond funds. If you are concerned about your investment in Puerto Rico bonds and would like to speak to a securities attorney, please call The White Law Group at 888-637-5510 for a free consultation. To learn more about the firm, please visit www.WhiteSecuritiesLaw.com.